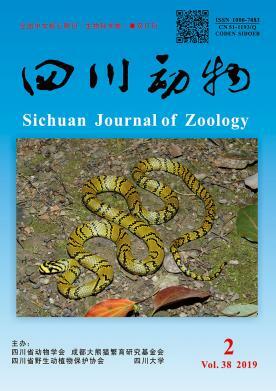 英文摘要：Geographic variation (GV) is widely spread in snakes. Rhabdophis nuchalis, which is one of the colubrid snakes with broadly geographical distribution in China, provides ideal taxa to explore GV. Based on multivariate statistical analyses of external morphological characters recorded from 61 specimens of China, we examined GV patterns for this species. The results showed that the specimens from Gaoligong Mountains were significantly different from those from other populations in the number of postocular scales, ventral scales, black stripes in the supralabial and the small scales between the posterior chin-shields.